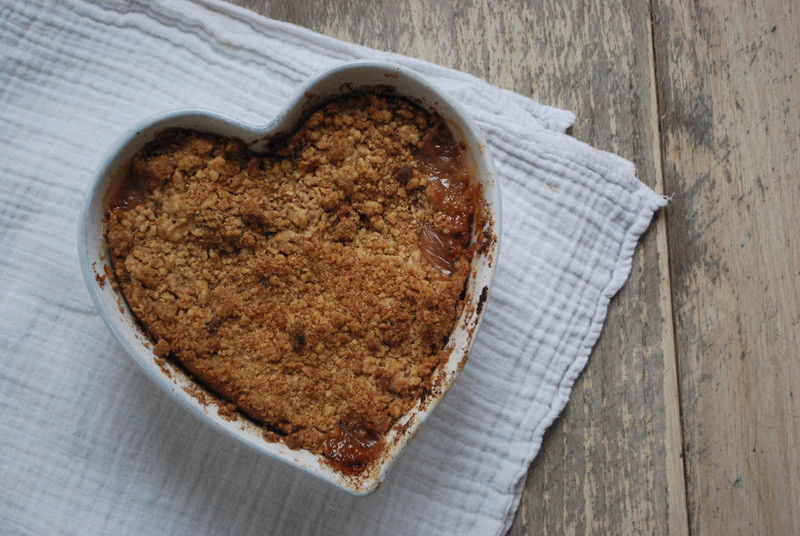 Everyone holds a place in their heart for crumble and this is certainly no exception. It is made with seasonal apple and rhubarb, both providing vitamin C and pectin which is helpful for the digestive system. 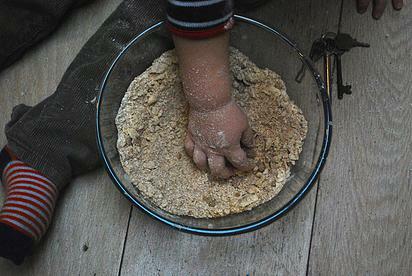 Spelt flour has a lower gluten content and is therefore easier on the digestive system. 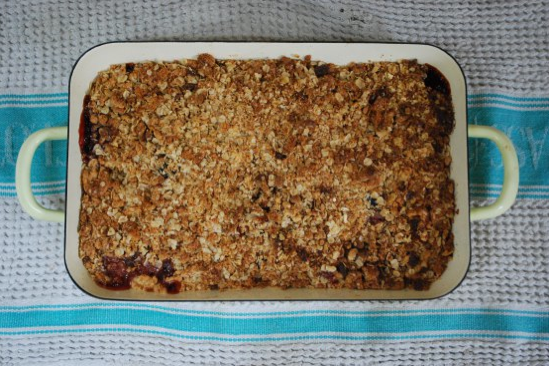 Our Rhubarb and Date Crumble is also delicious, as is our Apple and Date Crumble too. Sift the flour into a bowl then add the chilled chopped butter. Using your fingertips, gently "rub in" the butter, in a light and airy manner, ensuring you keep your hands lifted above the bowl to keep the mix light. Rub the butter and flour together until the butter disappears and you are left with a light-looking crumble that resembles breadcrumbs. 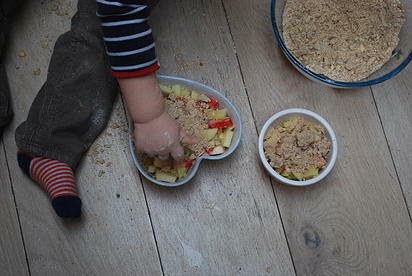 In another bowl add the chopped apple and rhubarb, and mix through the cornflour and runny honey. Place the fruit into a cooking dish - this works well as both individual ramekins, sharing large ramekins or a large dish. Next sprinkle over your crumble topping. If you have any left over keep in a food bag in the freezer for future use as really useful. Bake in the oven until cooked through. This will vary depending on the size of your dish but should be around 20-40 minutes. When the fruit feels soft and the crumble is bubbling around the edges.